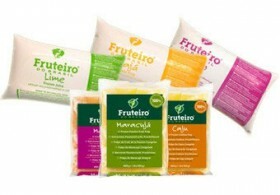 Fruteiro® fruit pulp is 100% made of selected tropical fruit, processed at the optimal stage of ripeness according to a simple, but accurate production process. No sugar, preservatives or colorings are added and the exceptional nutritional qualities of Brazilian fresh fruits are maintained almost unchanged. Thus all drinks based on Fruteiro’s pulp are ideal to prepare excellent juices and vitaminas (typical Brazilian smoothies), a daily complement to everybody’s diet. 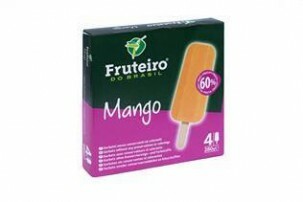 Our tropical sorbets are made only of Fruteiro’s fruit pulp (from 35% to 74%), water and a bit of sugar. Without coloring or preservatives, they offer to adults and children a very natural and healthy dessert, truly “fruit on the stick”.